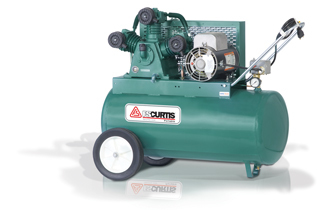 FS-Curtis Portable Air Compressors are built for life and low maintenance. Available with Electric Motor or Gasoline Engine. Either 23 gallon or 8 gallon twin tank design.